Manuela of Baking History is our gracious host for BreadBakingDay #04. When she announced that the theme for this month would be “Bread with Spice(s),” I immediately thought of a bread that I’ve had in mind to try for a while now: saffron challah. I love saffron, I love challah, and I love to shape dough, so I was in my own little heaven with this one. 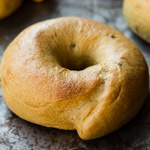 Challah is the most amazing dough –– it starts out so stiff you think the only thing you’re going to be able to produce with it is some sort of weapon… but then darned if it doesn’t ferment its beautiful golden self into the most supple, silky, workable stuff you’ve ever had the pleasure of holding in your hands. 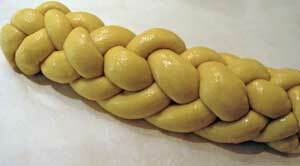 Challah lends itself spectacularly well to a multitude of braided and other shapes. I decided to go with three braids that look intricate but are simple to do. One has two strands, the other two have six strands each. Notes on the shaping follow the recipe. For this bread, I adapted the (basic, non-saffron) challah recipe found in Bread: A Baker’s Book of Techniques and Recipes by Jeffrey Hamelman. It’s one I’ve made before with excellent results. I added the saffron by simply steeping ground up saffron threads in hot water and using the cooled water in the dough. This imparted a saffron scent to the loaf that was noticeable but not overwhelming. I really love toasting this bread, which not only enhances the saffron but gives the crust an amazing and unique tender-crispness. 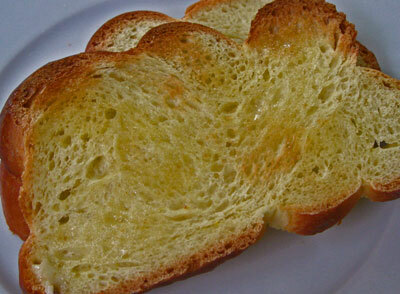 Day-or-two-old challah also makes fantastic French toast. Grind the safrron threads in a mortal and pestle or with the back of a spoon. Boil about 3/4 cup of the water and pour it over the saffron threads. Let the water cool to room temperature. Combine this water with ice water to make the amount of water needed for the dough. Combine all of the dough ingredients in the bowl of a stand mixer. Mix on low speed until just combined, about 3 minutes. The consistency of the dough should be quite stiff. Mix on low or medium speed until the gluten has reached nearly full development. This may take about 5 minutes, but will depend on your mixer. Transfer the dough to a covered, lightly oiled container. Ferment at room temperature for 2 hours. After the first hour, gently press the dough to degas it. Turn the dough onto a very lightly floured counter and divide it into 3 pieces of about 500 g each. Further divide each piece, depending on the number of strands you want for each loaf. Braid or otherwise shape the dough as you please (see shaping notes below). 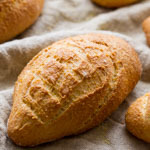 Place shaped loaves on a large parchment-lined baking sheet, spaced as far apart from each other as possible. Beat one egg with a fork and mix it with a teaspoon or so of water. Brush the egg wash lightly onto the loaves. Save the remaining egg wash.
Slip the loaves into a large plastic bag or cover with plastic wrap. Proof at room temperature for 1.5 – 2 hours, until the dough springs back very slowly when pressed lightly with your finger. Before baking, give the loaves another light coating of the egg wash.
Bake the loaves for about 30 minutes, until the crust is a shiny dark brown. Place the loaves on a wire rack to cool. Make sure your counter does not have too much flour on it when you roll out the strands. Your dough needs to grab the counter a bit to be able to roll well. For the two-stranded rosette, I divided the dough into two equal portions and rolled each one out into a tapered strand about 24 inches long. I wound the strands together like rope, then coiled the rope up into a spiral. 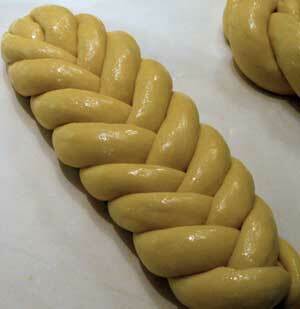 For this six-braid, I followed Maggie Glezer’s instructions in her challah recipe on the Fine Cooking website. At first glance, the diagrams may look a tad confusing, but don’t be put off. The back-and-forth mantra here is “second from RIGHT strand goes over to the far left; RIGHT strand goes to the middle; second from LEFT strand goes to the far right; LEFT strand goes to the middle.” As you can see, I still need to work on tapering my strands more to get that nice torpedo shape. The second six-strand shape is even easier. Just as with the common three-strand braid, chant “RIGHT strand into the middle, LEFT strand into the middle” a few times, and you’re done in 30 seconds flat. Thanks for the instructions for the rosette shape! I’ve tried it several times and it never worked out–I should have tapered the ropes! It looks gorgeous. 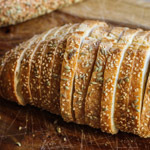 I am starting to bake my own bread and this recipe is one that I definitely want to try. 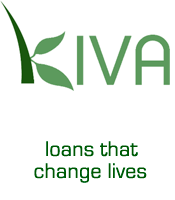 Great post and great blog! Susan–What a splendor!beautiful Challah! Thank you for participating! It looks so glossy and fabulous! I could never create some of the shaping you do! wow! 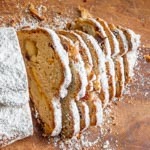 What gorgeous bread — and the saffron…Mmmm…This post brought back some dear memories. When I was about 15, I baked a braided wreath of bread to share at a family Christmas gathering. This has inspired me to consider giving it another go. Now to find someone who will help me eat it. Susan I can’t tell you how happy I am you are blogging, baking bread and that I’ve found you. Gorgeous breads and shapes. It’s been years since I made a challah. Now it’s time again! Wow, Susan, stunningly beautiful! 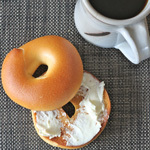 I agree with HalfCups, your blog is wonderful, so I’m sayin’ thanks too! 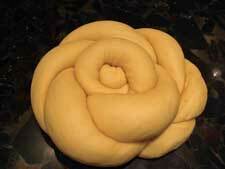 Can you provide a little more detail about coiling up the rosette, yours looks perfect! Do you start outside or in the middle, and how do you finish the end/middle. Any more tips? Have you seen the braid instructions in Bo Friberg’s The Professional Pastry Chef, there are some fun ones in there too! Outstanding! I love that you showed us a couple of different types of braids. Both are soooo pretty! Abbey, yes, tapering definitely helps! Ben, I think challah is a good bread for people just staring to bake bread because the dough is so easy to work with. Have fun with it! 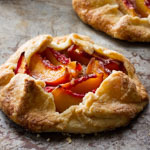 Manuela, thank you so much for hosting this month, my fellow saffron-baker! I am also loving seeing what the other participants have done with their spices. Bev, you could absolutely do these shapes. If you’re not sure, though, try practicing with Play-Doh to see how easy it is. Kellypea, wow, now you’ve triggered a memory for me — a “Daisy Braid Wreath” I made in school in 6th grade. I’d forgotten about it but I just went to check my recipe file and I still have that index card, done in my nice neat 10-year-old handwriting. Here’s to braiding, at whatever age! Tanna, I can’t tell *you* how happy I am to have been found by you and other awesome bloggers and readers who share my love of baking and have welcomed me so warmly into your virtual worlds. I will be watching for your challah! SusieQ, the shape is so simple to do. I’m sorry I don’t have any intermediate shaping photos for this. Just coil it up starting in the center. The outer end is then simply tucked underneath; in the photo you can see this at the bottom, slightly to the right of center. I’ve never really taken a look at Friberg’s book although I see it in bookstores every so often — I’ll check it out next time I do. Mimi, thank you very much! Ari, thanks and welcome to my blog! It’s completely voluntary of course but I think you will enjoy it! 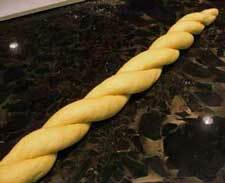 These braided breads are stunning! beautiful! i had saffron bread for the first time this summer and loved it. yours looks even better than i remembered! 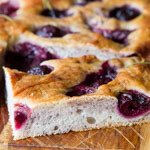 I love love challah – in Italy egg breads aren’t as popular – your braids look amazing. Even with the detailed instructions, I am still pretty intimidated. I would love to try, though! the roundup is now online. Thanks for your entry!! hi susan, thanks for visiting my blog! i really admired your challah. your breading is so perfect and i’m sure the bread tastes wonderful too. i love challah among many other breads. Thanks for dropping by my blog, Susan. I just saw all the breads you have baked and they are beautiful. I am nowhere close but I hope to make there some day, perhaps! These breads are beautiful, I have to look for a cheaper saffron source! 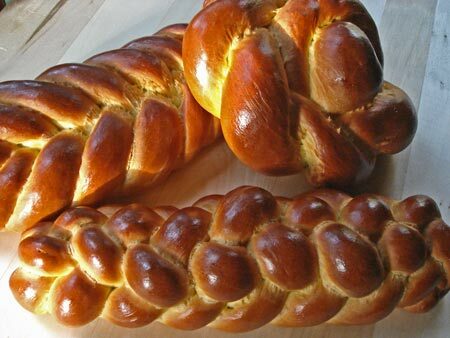 Gorgeous challahs, Susan…they must taste delicious with saffron! Your challah is truly outstanding, PERFECT! I have not made challah before, but now I am convinced that i should try. wow. Susan, if you’re interested in the other braid patterns from Friberg’s book, I’d be glad to send you those pages, if you want them e-mail me. He’s got three different four-strings, three different five-strings, a six, a seven, two eights, and a Sunburst or Star. If you like baking pastries it’s a great book to get. Lewis, I did it. Thanks for inviting me! Bri, the saffron does enhance the golden color. I can’t claim credit for the idea — several recipes I’ve seen around do the same thing. Elizabeth – I’d never heard of Lucia cats before but yours do look wonderful. Katy – I have loved saffron in other things but I too am new to saffron bread. I’ll definitely try it in others. Sara, I know it looks a bit intimidating, but the 6-braids are really simple! Hillary, I hope you have fun making the challah. Baking History (Manuela), thanks for the great roundup! Aparna – thanks, I’m glad you stopped by my (not so diverse) kitchen. Ulrike, yes, saffron is quite pricey, over US$4000 per pound! Good thing not too much is needed to get the flavor. Zorra – I can’t read the commentary, but the braid looks good to me! Nora, thanks for your kind words, and of course you should try it! SusieQ – how nice of you offer but you don’t need to go to any trouble. Jeffrey Hamelman’s book Bread and Maggie Glezer’s A Blessing of Bread also have a variety of braids for me to practice. Maybe when I have mastered those I will be ready for Friberg’s! I have not baked many pastries but maybe I will try more soon. Fantastic recipe! But in my oven it was ready in just 20 minutes. Maybe that’s because my city is at a high altitude? I also topped one loaf with sesame seeds.